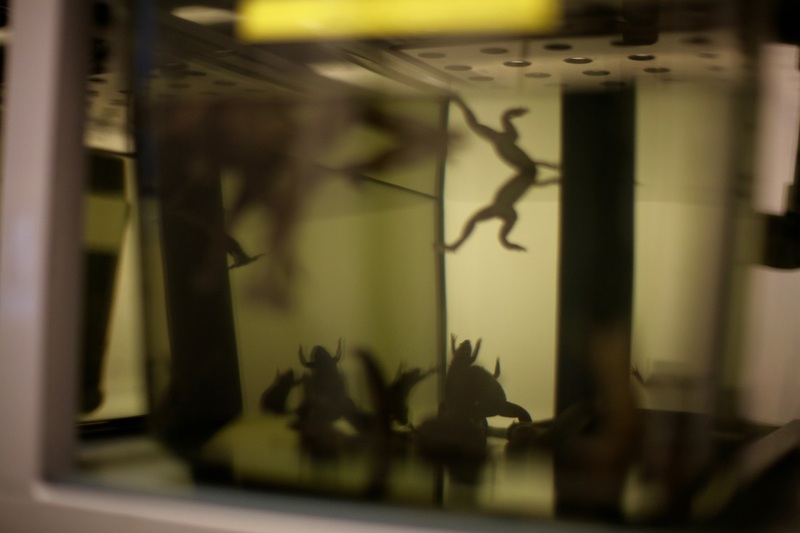 The Aquatic Holding Zone accommodates Zebrafish (Danio rerio) and amphibians (Xenopus laevis and Xenopus tropicalis). 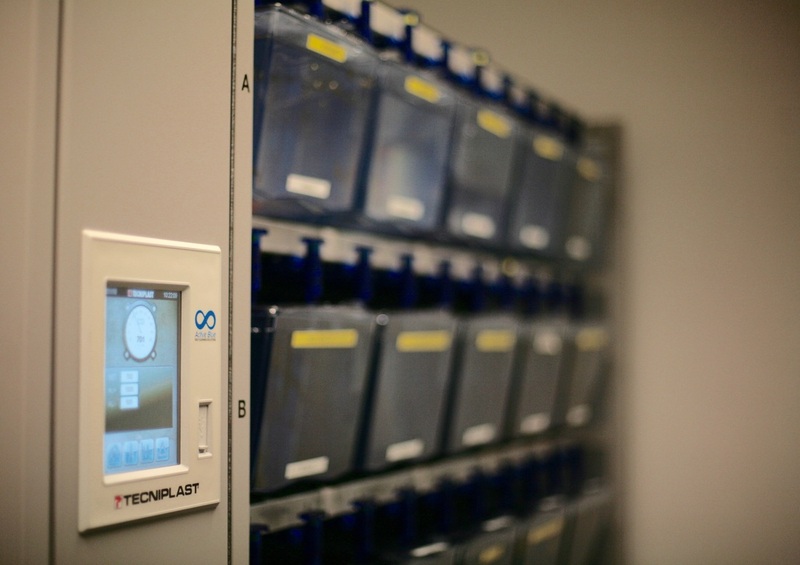 Both species can be accommodated in dedicated holding tanks, with water quality maintained by dedicated filtering and condition systems complete with automated sensing of water quality and alarm systems. If you wish to enquire about starting work with aquatic species, or wish to import animals into SBS, please click here. If you have questions or concerns relating to the use of animals, or wish to make a report of any kind, please click here. 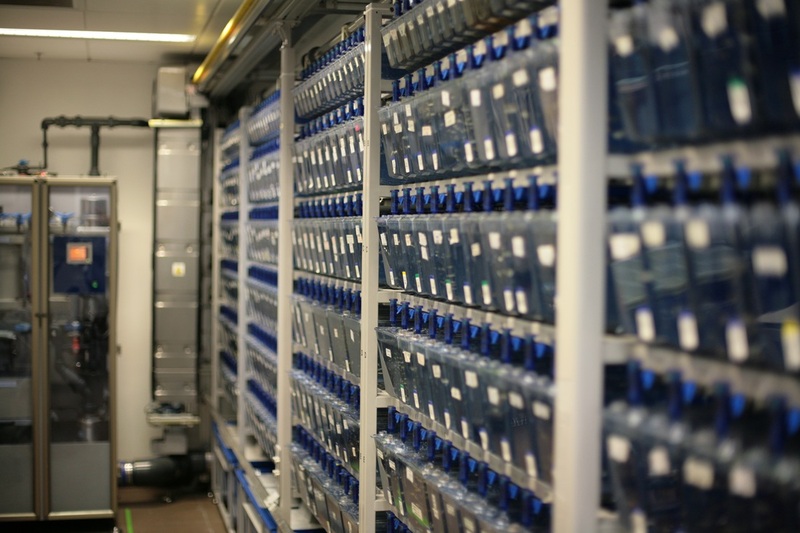 Zebrafish are housed under standard conditions of lighting (14 h light/dark cycle, lights on between 9am and 11pm), pH 7.5, conductivity of 500uS and temperature (26-28 degrees Celsius), and are fed by Asia’s first robotic Tritone feeding system. For information on standard diets, click here.